What helps people overcome challenges in transforming conflicts in their communities? At Generations For Peace (GFP), local volunteers train other community members and lead the design, implementation and evaluation of programmes aimed at transforming conflict in their own communities. 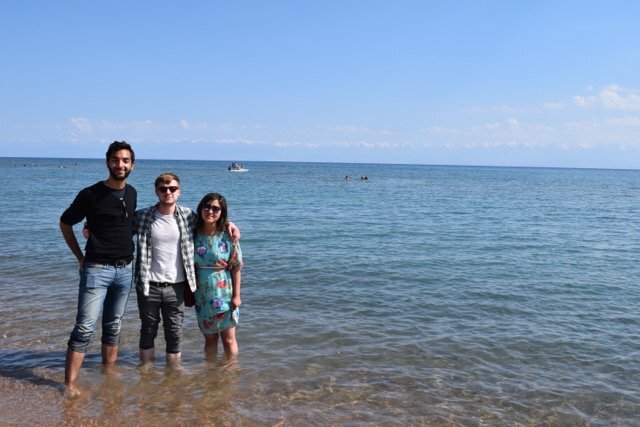 This summer, I was commissioned by the Generations For Peace Institute (GFPI) to understand what problems volunteers face in implementing programmes in Kyrgyzstan. 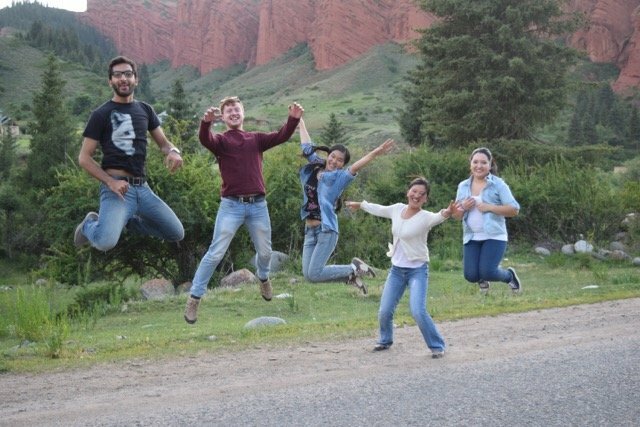 Coming straight out of my Masters from the University of Oxford, I found myself astounded by the level of personal responsibility that volunteers took on to support transformative activities all over the Kyrgyzstan, working on separate conflicts in Karakol, Osh, and Batken. 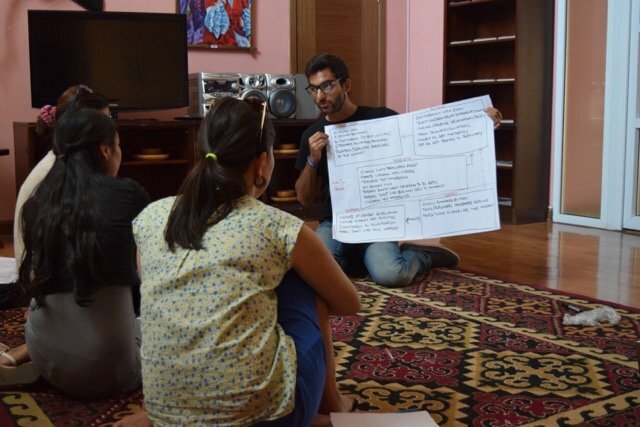 From 3 to 19 July 2015, after conducting extensive interviews, surveys, and a mapping exercise in Kyrgyzstan, I found that one of the elements that gave volunteers confidence that their programmes would succeed was the sense of control and ownership they had over the activities they were running. To transform conflict, people require many elements to be in place, many of them external to the individuals involved – for example, they may need access to finances, venues, and the right tools to create change. Through constant mentoring and support, GFP helps volunteers with many of these elements. But some of the elements volunteers need are internal – such as a sense of ownership over their work. While this is more difficult for GFP to support remotely, my interviews demonstrated this was crucial to overcoming challenges in programme implementation. In the development sector, creating networks of ownership is extremely important. This is because communities tend to reject programmes that they feel are imposed on them by an outside party. In Kyrgyzstan, I noticed that a suspicion of foreigners and NGO workers was quite prevalent. One of my respondents even told me that some politicians were blaming development workers for the inter-ethnic violence in their country. For this reason, I found GFP’s participatory model of conflict transformation quite attractive, as it gave Pioneers and Delegates the opportunity to take full ownership over the conflict issues in their communities. By being programme owners, volunteers had the space to customise programmes to transform on-the-ground issues. It was this sense of ownership among volunteers that could make programmes successful – and fun! – for everyone involved. In Kyrgyzstan, I found that this sense of ownership did not exist in name only – it was explicitly expressed by Pioneers and Delegates. One volunteer in Karakol commented on how because they had “done so much with GFP … we just became GFP!” I also found that by being vocal about programmes through local fundraising, word-of-mouth communication and community-level discussions, GFP Pioneers and Delegates had numerous opportunities to explicitly express their ownership over GFP programmes. My interviews demonstrated that by expressing this ownership again and again, Pioneers and Delegates were able to transfer this sentiment to other volunteers. In turn, interviews and surveys with the Target Group showed that students who were part of the programme appreciated the volunteers’ taking personal responsibility to address their communities’ conflict issues. One of the most important realisations that came out of this for me, was that the situation on the ground in Kyrgyzstan was not just a conflict, or a programme that concerned only GFP Headquarters in Amman – this was the volunteers’ community, their conflict, and their actions to transform the conflict. I found that volunteers in Kyrgyzstan needed to be conscious of how confidently they vocalise their sense of ownership, as this would help them overcome programme implementation challenges in their communities. By expressing this sense of ownership, volunteers could engage other community members to become participants in owning these programmes and thereby, transforming conflicts on their own terms. For a detailed understanding of how these expressions of ownership work in the field, I will be writing a full report for GFPI on the basis of my field experience. So stay tuned! Before concluding, however, I want to thank the wonderful people I met during my time in Kyrgyzstan. Their commitment and resilience in the face of programme obstacles has inspired me. Now it is time for them to fully own their programmes through-and-through, and strive to make everyone involved share that sense of ownership.